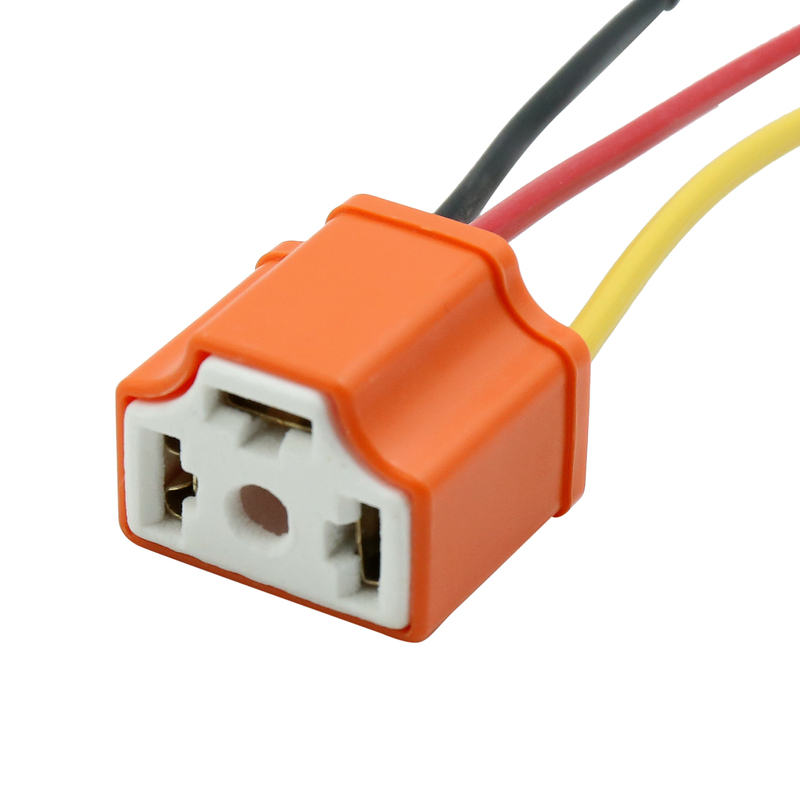 Female ceramic headlight socket with wire harness. It is mainly made from plastic, metal and ceramic materials, strong temperature resistancy. Good for extension and replacement purposes. It is easy installation and use, just plug and play.